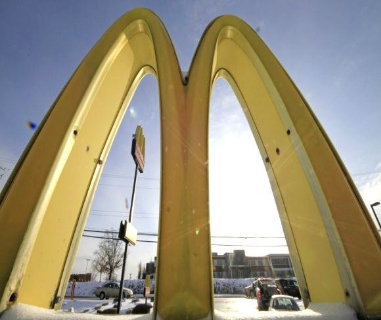 Golden Arches symbolized globalization apart from being McDonald’s symbol and as Thomas Friedman sought to argue two decades ago, they heralded peace in the interest of globalization-driven economic relationships. 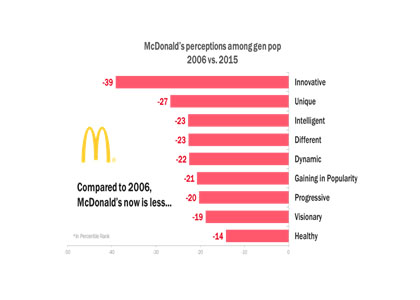 Even as McDonaldization is still observed across society, the brand McDonald’s has continued to confront challenges. While it has evolved in the past by adapting to and capitalizing on change, can it do so this time too? What is McDonald’s now up to? 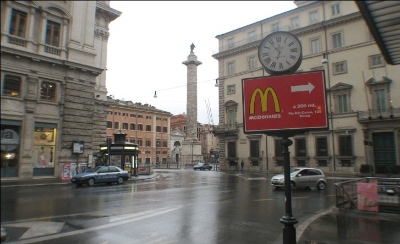 Having opened a branch close to the Pope’s headquarters in Vatican and thereby earning the ire particularly of cardinals living above the restaurant, Mc Donald’s has announced an atonement plan – every Monday starting 16th January, the food giant will feed lunch to thousand poverty-ridden people in Rome. The meal will consist of double cheeseburgers, fresh apple slices and bottled water. Medicina Solidale (Solidarity Medicine), which works to provide healthcare for the poor and Vatican’s alms-distribution office will co-ordinate with Mc Donald’s to carry out the plan. The non-profit medical aid organization – which seems to have come up with the idea in the first place – plans to portion out 100 meals every Monday 10 successive times and says Mc Donald’s had promptly responded to the idea. 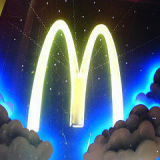 Lucia Ercoli, the director of Medicina Solidale added that Mc Donald’s was enthusiastic about expanding the operation. On another front, the fast food giant’s announcement that it was selling a major chunk of its business in China won extensive praise from Wall Street. The food giant with more than 36,600 branches worldwide (as of September 30, 2016) – of which 24,000 are in China and 240 in Hong Kong – signed a 2.1 billion US dollar deal with a consortium in which China’s CITIC, the state-held investment company, and the private equity firm Carlyle were the primary players – to sell 80 percent of its China and Hong Kong operations. For the next two decades, the partnership between the three players will be distributed such that CITIC procures a 52 percent stake; Carlyle will own 28 percent and Mc Donald’s, 20 percent. The popularity of its burgers – a killer product in the past – is on the wane. Thwarting off competition in the better burger boom has not been easy. 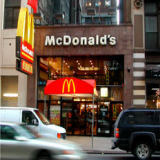 McDonald’s finds itself losing out to increasingly popular competition from Five Guys, SmashBurger, Shake Shack, and Habit Restaurant among other chains.A 2014 survey by Consumer Reports placed McDonald’s burgers far last among more than a dozen burger businesses. Even statistics from McDonald’s are proof of the poor demand for its burgers. One problem faced by McDonald’s in its efforts to scale demand for its burgers is the tradeoff between customization and speed; its Create Your Taste option which allows consumers to choose their combo from a variety of buns, toppings and dressings was resisted by franchises as it could not meet the target of completing drive-thru orders within one-and-a-half minutes. It has not been able to match the success of fast casual restaurants in catering to the cultural shift of the young adult generation. Fast casual style’s ability to strike a balance between price and nutrition was a blow to McDonald’s. Hard to shift from frozen to fresh. The frozen meat used by McDonald’s in its patties is losing out to fresh-grilled meat. Though it has begun to experiment with fresh patties, using frozen meat is not only a nearly-four-decade-long-practice for McDonald’s; it also comes with a set of operating procedures and maintenance facilities the company finds hard to change. Boosting demand for its burgers seems instrumental to McDonald’s change of fortune but whether its new offerings this year will make a difference remains a question. Since when has McDonald’s been evolving? The collapse of their mill business during Great Depression pushed brothers Richard and Maurice McDonald out of New Hampshire and they began to chase their Hollywood dreams.Their small drive-in restaurant was a mere by-product of this journey, at least when it began. On their plates appeared slow-cooked barbecue with imported hickory chips. After World War II, the brothers realized the great demand for barbecue restaurant’s hamburgers and began to cut down barbecue business – the risk and strategy paid off. When they realized the potential of their hamburgers, the brothers pulled down the shutters for three months and transitioned their business as a self-service restaurant where customers paid over the counter while placing their order. The employees who were carhops (waiters bringing fast food to people sitting in cars) lost their jobs and silverware and plates were replaced with wrappings and cups; the dishwasher cost was now eliminated.They scaled down their menu by nearly three times. With lower volume and prices in place, the brothers came up with a strategy for speedy service. Inspired by Henry Ford’s assembly line process which moved automobiles throughout the stages of manufacturing and got their products at faster rates, the brothers introduced the “Speedee Service System”. Each of their dozen crew members performed a specific task and most of the food was assembled in advance of the orders. Ketchup, mustard, onions and two pickles were standard ingredients. Another choice meant one had to sacrifice time.“You make a point of offering a choice and you’re dead, the speed’s gone”, Richard McDonald told the Chicago Tribune in 1985. Despite initial friction, menu alterations – “Goodbye, Potato Chips, Welcome, French Fries and triple-thick milkshakes” – cemented with the low price attracted families and businessmen. The decision to go global was however initiated by the new owner whose character is the protagonist in the Hollywood movie, “The Founder”. 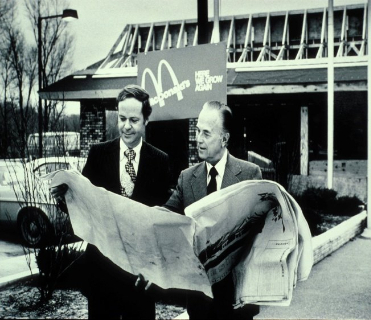 Ray Kroc, a milkshake mixer salesman bought the franchise rights and in 1955, inaugurated his first McDonald’s in Des Plaines, Illinois. Kroc, with his tendency to push limits soon fell out of favor with the traditional McDonalds.In 1961, he purchased the company from them retained the name and redid the face to suit his style. Roy T. Bergold Jr., who started his career as assistant advertising manager at McDonald’s in 1969 and retired in 2001 as Chief Creative Officer, explains in QSR, how the quick-serve business model of the company in US evolved. In the 60s everything about McDonald’s from building design to service reflected the energy and enthusiasm of society. The next decade presented some problems – resistance from planning and zoning commissions to the company’s rainbow-cone buildings and the cold weather. To counter the problem, a new brown, brick restaurant with heat and air was conceptualized. The company convinced investors by airing TV commercials featuring the building under their “You Deserve a Break Today” campaign. 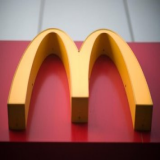 McDonald’s also changed their employee preferences to draw customers; it went from teenage boys to meet the demanding nature of work to teenage girls as women became part of the workforce to bring more young men to their restaurants, and when that became too expensive, senior citizens in need of jobs and could be reliable, understanding and dedicated were recruited. In terms of QSCV (Quality, Service, Cleanliness and Value), the company started off with a single-minded focus on fastness, cost and consistency. With the advent of individualism in the “me generation”, the company had to re-evaluate their priorities. They personalized their services and products to the desires and requirements of the modern consumer. They introduced “value meals” which also provided the consumer satisfaction of buying “more for less”, added menus for the health-conscious and also introduced breakfast options. Where price increases were concerned, McDonald’s learnt and successfully applied the lesson: Do a lot of little ones, not one big one. Their marketing efforts evolved as new opportunities such as increased presence of Black and Hispanic markets and challenges – resistance to new programs, retaining relevance – presented themselves. Where also do we observe McDonaldization in society? McDonaldization is a theory of American sociologist George Ritzer. 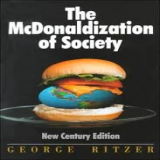 In his book The McDonaldization of Society, Ritzer uses McDonald’s and the fast-food restaurant as a model to explain how increased rationalization has impacted modern society. He extends the core theme of German sociologist Max Weber. The theory met with support as well as opposition with opponents pointing out that Ritzer among other things offers a grossly pessimistic view of globalization and makes the unsubstantiated claim that the Holocaust was “a precursor of McDonaldization”. However, examples that reflect the essence of the theory have been pointed out in different domains. Note: In sociology, rationalization happens when rational and shrewd motivators take the place of emotional, traditional or value-driven motivators. The four tenets of McDonaldization are efficiency – completion of separate tasks and the combined operation in the shortest time possible, calculability – where quantity becomes a substitute for quality, predictability – tasks and products remain unchanged and control – automation replaces manual labor. The large-scale shift in journalism offered by media corporations from high-quality, serious content to a standardized assortment of topics with infotainment or emotainment (emotion and entertainment) occupying a significant portion. One facet of the debate around this type of journalism argues that McDonaldization has manifested as a “dumbing-down” effect of news media while another facet interprets McDonaldization as an overlap of various types of journalism which leads to British journalist Alan Rusbridger’s observation that the Guardian is turning into a “broadloid”. Bob Franklin, in a paper on this topic, notes the emergence of “bite-sized McNugget journalism” as Scottish journalist Andrew Marr called it; Franklin analyzes it as “McJournalism”. Franklin lists the consequences of McJournalism: forcing predictable news down readers’ throats and simplifying news and making it more accessible. McDonaldization in education takes the form of Western influence pervading globally. One example points to the similarity of structure and mode of knowledge transfer between Peru and America with the focus being efficiency. The impact on higher education is apparent with the arrival of computer generated examinations which enhance efficiency while evaluation has taken on a predictable form. Ritzer observes McDonaldization in the creation of MOOCs (massive online open courses) which are simply updated each time thereby bringing in an element of predictability to students. It has also been debated that the replacement of a human teacher with a machine teacher hampers the chances of “creative mutual engagement between teacher and student”. The emergence of McUniversities where the curricula are designed to cater to the fast-track mode of education and compromise heavily on quality but win crowds through shiny package and marketing models. Ritzer points out that concentrating excessively on rationalization leads to the opposite effect – irrationality. Obstinate organizations that insist on following every rule are impervious to basic human reasons. Consequently, while some people at the receiving end have to navigate through inane intricacies for a simple procedure, others who work for the organization are dehumanized. As the need for skilled workforce is reduced by McDonaldization, the worth of the laborer has diminished. The nature of the jobs is monotonous, narrowly oriented and can be taught quickly at low cost. This reduces the power of the workers as they can easily be expelled and replaced. This has led workers at corporate like McDonald’s and Walmart to resist in the US even as Apple employs the same strategy of exploitation in China. Consumers too are increasingly swapping control at some level for convenience or other reasons. Who is among the most famous endorsers of McDonald? 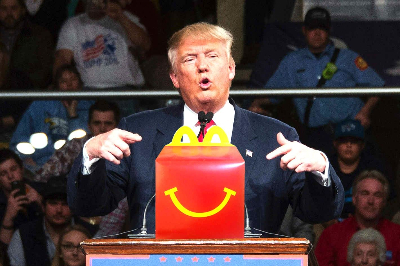 President-elect Donald Trump made it a point to broadcast during his campaign that he was a self-avowed fan of fast food and heaped praises on McDonald’s among other fast food outlets. 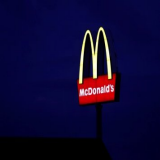 Apart from commending McDonald’s and other huge fast food chains on their cleanliness – he reportedly said, “I’m a very clean person. I like cleanliness. I think you’re better off going there than someplace you have no idea where the food is coming from (apparent dig on Mexican food joints). It’s a certain standard” – he claimed the company’s “Fish Delight” (he possibly meant Filet-O-Fish) was his favorite meal adding, “The Big Macs are great. A Quarter Pounder with cheese”. He is also known to value the efficiency of service. While his food preference reportedly seemed genuine, it had the added benefit of conveying to blue-collar supporters that he was one of them. More interesting is the question of which Donald Trump will take on the role of President – the businessman who built his empire on globalization or the campaigner who launched a constant tirade against globalization. 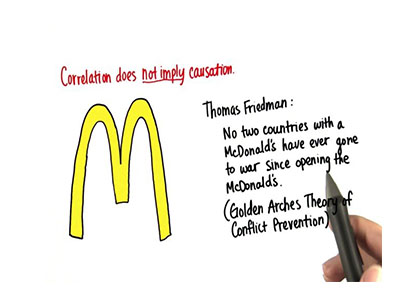 How strong is the Golden Arches Theory of Conflict Prevention? 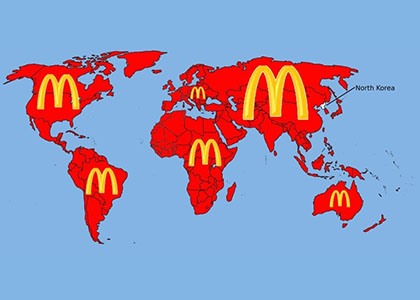 Pulitzer Prize winner Thomas Friedman put forth this theory:“No two countries that had McDonald’s restaurants would go to war.” While almost a decade later, he said McDonald’s Golden Arches were used in a slightly humorous way to illustrate his point about “capitalist peace” and offered an updated “Dell Theory of Conflict Prevention”, the original name showed how symbolic of globalization McDonald’s had become. Friedman wanted to say that globalization facilitated mutually beneficial economic ties between countries which would make them disinclined to war with one another. Research by political scientists Bruce Russett and John Oneal in 2001 found a positive correlation between trade dependence among countries one year and their chances of remaining at peace with one another the next. They concluded that democracy, trade and intergovernmental organizations contributed to peace and chances of dispute between two countries in the top 10 of the scale on the three variables would be 81 percent less than the chances of dispute between an average pair of countries. A 2014 reassessment by political scientist Håvard Hegre revealed consistency in the conclusion. It must be noted that the above conclusion endorses 18th century German philosopher Immanuel Kant’s observations more than Friedman’s theory. While Friedman’s theory focused only on economic relations, Hegre doubted these alone were sufficient to explain democracy and peace. McDonald’s does tremendous amount of research before stepping inside a new country to ensure it will have a robust infrastructure and countries which do tend to be run as liberal democracies. The theory failed shortly after it was published as NATO bombed Yugoslavia and on the first day of bombing, angered protestors destroyed McDonald’s restaurants in Belgrade. Other violent disputes such as US invasion of Panama, Kargil War between India and Pakistan, 2006 Israel-Lebanon war, 2008 South Ossetia war and 2014 Crimean crisis have been used as examples to counter the theory. The resurgence of geopolitics has been marked and reflects the frustration of nations over the compromises globalization has led them to make. China’s nationalistic ambitions do not seem lessened by its global integration and their share of Western exposure has not prevented jihadist fighters from carrying out their destructive acts. Economic improvement hasn’t quenched the great power rivalry and the world’s progress in the period post Cold War shows that conflicts are an internal characteristic of societies. The pace of integration in the global economy has slowed down. Global trade, which had expanded twice as fast as global growth prior to the 2008 financial crisis has since then been cut down to be on par with the pace of growth. As outsourcing meets with national resistance and advancement of technology, cyberspace begins to gain ground, even as a potential battleground. This has even made the reasoning behind Friedman’s updated theory irrelevant – how will an attacker country lose out if it can conveniently deploy its cyber missiles This presents a whole new challenge to Friedman’s theory. Its franchise model emulated by others ensures distribution of rewards and risks and places lesser burden on the company than if it solely controlled its empire. It acquired the best locations thanks to the “first come first serve” privilege. This provides a great platform to harness opportunities. The above advantages help the adoption of, and adaptation to change when challenges arise.